Before last year closed out, we were able to organize two gatherings, one of which is the topic of this post. This early Christmas party, held last November 29 at Leperman‘s house, was to be more of the same stuff that RR members have grown accustomed to: AC and Tekken, among other games, delicious food, and of course, each other’s sick/funny/retarded company. People signed up and confirmed, and it was destined to go down as another great congregation. Little did I know it was going to be the most awesome one yet (for me at least). I had earlier given my confirmation that I would be able to go, but as the time for the event drew nearer that day, another important one popped up: my cousin was celebrating his birthday party too. Since the Republic was going to go to Makati, and my cousin lives all the way in Paranaque, I clearly would only be able to go to one without being late for the other. So I decided to just cancel my attendance to the RR meet, knowing there was another one planned soon after. Immediately after posting my plans on the forums, I got bombarded with messages from other members telling me to try to go at all costs. They were clearly hinting on something. Not being dense and always up for surprises :P, I did go, pushing through two hours of southbound C5 traffic to get there. When I did, I found out it was all worth it. The guys were already settled down when I arrived, playing bouts of AC and Tekken and God Hand here and there. A few minutes later, they finally unveiled their surprise: a PS3 box! I felt my jaw go slack and drop. I got punked real good. Nicely done gents. Of course after the mocking laughter died down, they presented another PS3 box. I just opened it without thinking. 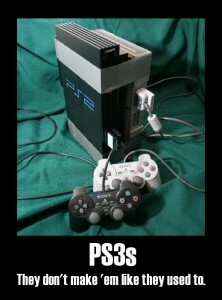 And there, lo and behold, was a real PS3 unit. And it was to be mine. I couldn’t believe it for a while. But I went home very happy anyway. I wound up going very late to my cousin’s party too, but hell, I had just received a PS3 as a gift, nothing could bring me down that night. And the night after. And after that. And after that too. And also during the following weeks. Hands down, best birthday or Christmas gift I ever received. Guess I can’t really remember the food we ate during the meet anymore, a shiny black box pushed it from my consciousness. 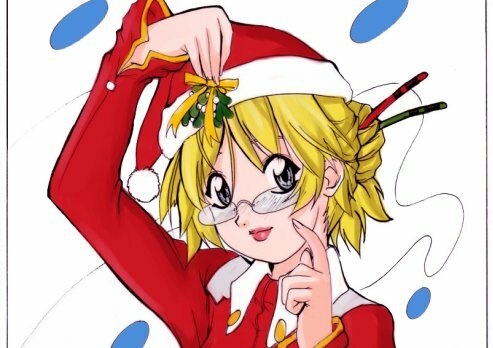 There aren’t any pics of the “half-failed look in my eyes” as Shintetsu put it, but I hope you can feel the Christmas spirit in these pics.